Use these steps as a guide for turning your retirement savings into retirement income. How much income will you need from your investments each year? To answer that question, start by developing a realistic retirement budget. Estimate your living expenses for a year. Create a detailed estimate with our Monthly Budget Planner. For a quick estimate, use our rule of thumb. Divide expenses into two categories: essential and discretionary. Essential expenses are things you can’t do without, such as food, housing, taxes, health care, insurance, and a buffer for emergencies. Discretionary expenses, like travel and hobbies, are things you could cut in a pinch. Why this is important. Take a good look at how your expenses might change in retirement. While some expenses may decrease or go away altogether, you’re likely to incur some new expenses. Subtract any income from predictable sources. Need help estimating Social Security? Calculate your benefits using the Social Security Administration’s benefits calculator. The result is an estimate of what you’ll need from your retirement portfolio. With this target amount in mind, you can now set up your portfolio to help generate the income you need. Use our Retirement Calculator to see whether your savings can generate the income you need—and explore options for what to do next. Consider using a strategy that helps cushion your income from market and interest rate fluctuations. Set aside a year’s worth of cash. In a relatively safe, accessible account (such as a checking or savings account), deposit an amount of cash equal to a year’s expenses. This is the money you’ll use—along with your sources of predictable income—to cover all expenses throughout the year. Get more details on estimating your needs. You can invest in a mix of stock, bond, and cash investments according to an asset allocation plan that’s appropriate for your age, income needs, financial goals, time horizon, and comfort with risk. The Schwab Center for Financial Research recommends a progressively more conservative asset allocation plan as you move through retirement. The allocation to stocks, fixed income, and cash that’s best for you will depend on your circumstances and tolerance for risk. You may consider starting retirement at no more than a moderate level of risk and gradually shifting your portfolio toward more fixed income investments as your retirement time horizon becomes shorter, your risk tolerance declines, and your need for long-term growth lessens. Here’s an example of how you might adjust your asset allocation through retirement. Source: Schwab Center for Financial Research with data provided by Morningstar, Inc. The return figures are the average, the maximum, and the minimum annual returns of hypothetical asset allocation plans. The asset allocation plans are weighted averages of the performance of the indices used to represent each asset class in the plans and are rebalanced annually. The Conservative allocation is composed of 20% stocks (15% large-cap stocks, 5% international stocks), 50% bonds, and 30% cash. The Moderately Conservative allocation is composed of 40% stocks (25% large-cap stocks, 5% small-cap stocks, 10% international stocks), 50% bonds, and 10% cash. The Moderate allocation is composed of 60% stocks (35% large-cap stocks, 10% small-cap stocks, 15% international stocks), 35% bonds, and 5% cash. The indices representing each asset class in the asset allocation plan are S&P 500® Index (large-cap stocks); Russell 2000® Index (small-cap stocks); MSCI EAFE® net of taxes (international stocks); Barclays U.S. Aggregate Bond Index (bonds); and Citigroup U.S. 3-month Treasury bills (cash). Past performance is no guarantee of future results. Examples are for illustrative purposes only. Within your main portfolio, create a short-term reserve. Sometimes the unexpected happens, and the year of cash you’ve set aside for living expenses may not be enough to cover a needed purchase or emergency expense. We suggest you create a short-term reserve in the cash and cash investments allocation portion of your retirement portfolio, enough to cover up to four years of your retirement portfolio withdrawals. By investing this cash in liquid investments such as money market funds and short-term CDs, your goal is to have your cash reserve ready if you need it and avoid the possibility of having to sell your investments in a bear market. You may also consider placing this money in a short-term ladder or, if you don’t want to manage individual investments in a ladder, consider short-term bond funds. Mix of FDIC-insured CDs as well as Treasury bills and notes, and municipal bonds. A ladder can include multiple CD or bond types, depending on interest rates. Also consider municipal bonds rated AA or higher by Moody’s and Standard & Poor’s, but only in taxable accounts. Get more details about bond ladders by watching our video, “Should a bond ladder be part of your plan?,” or calling a Fixed Income Specialist at 800-626-4600. Learn more about Schwab CD OneSource®. Sources: Schwab Center for Financial Research and “What Role Should Fixed Income Play in Your Retirement Portfolio?” by Rob Williams, February 5, 2010. Investors should carefully consider information contained in the prospectus, including investment objectives, risks, charges, and expenses. You can request a prospectus by calling Schwab at 800-435-4000. Please read the prospectus carefully before investing. Investment return and principal value will fluctuate, and shares, when redeemed, may be worth more or less than their original cost. An investment in a money market fund is not insured or guaranteed by the Federal Deposit Insurance Corporation or any other government agency. Although the fund seeks to preserve the value of your investment at $1 per share, it is possible to lose money by investing in the fund. Fixed income investments are subject to various risks, including changes in interest rates, credit quality, market valuations, liquidity, prepayments, early redemption, corporate events, tax ramifications, and other factors. Certificates of deposit available through Schwab CD OneSource offer a fixed rate of return, are FDIC-insured, and are offered through Charles Schwab & Co., Inc.
CDs from Schwab CD OneSource are issued by FDIC-insured institutions, and are subject to change and system access. Unlike mutual funds, certificates of deposit offer a fixed rate of return and are FDIC-insured up to $250,000 per depositor per institution, based on account ownership type. Visit fdic.gov for details. There may be costs associated with early redemption and possible market value adjustment. Consider this withdrawal strategy to help keep your annual income steady. Pay expenses from your bank account. Withdraw money as you need it for retirement expenses. You’ll replenish this account with money from your retirement portfolio and any income you receive from predictable income sources like Social Security. Open an FDIC-insured Schwab Bank High Yield Investor Checking® or Schwab Bank High Yield Investor Savings® account. With unlimited ATM Fee Rebates, these accounts can help you save. Withdraw interest and dividends from your retirement portfolio. If you’ve previously elected to have dividends and interest automatically reinvested, turn off this feature and direct the income to your bank account instead. If dividend and interest income is not sufficient to cover your retirement expenses, you may also need to withdraw a portion of your principal. Continue reading for suggestions about how to do this. If you’re interested in a dividend growth strategy that seeks to deliver monthly income, annual income growth, and competitive total returns over time, learn more about the ThomasPartners® Dividend Growth Strategy. Withdraw principal first from your short-term reserve. Consider withdrawing proceeds from maturing bonds or maturing CDs in your short-term reserve. Replenish your short-term reserve with returns generated from your retirement portfolio. If this is not enough to maintain your short-term reserve at the necessary levels, see the next step: Rebalancing. Use proceeds netted from rebalancing your retirement portfolio. Use the proceeds from investments you sell as you rebalance your portfolio back to your target asset allocation each year. Which investments should you sell first? Rebalancing helps keep your portfolio in line with your income objectives, other goals, time horizon, and comfort with risk. Withdrawing $40,000 cash as you rebalance your portfolio. The weighted portfolio rate of return of 5% assumes reasonable long-term total return expectations for a moderately conservative mix of stocks, bonds, and cash. As part of the total return, we presume that a 2% dividend payout rate on U.S. large-cap and international stocks is swept into the money market account, but then reinvested in the IRA. This scenario is for illustrative purposes only and cannot predict or project the return of any specific investment or portfolio. Here’s how you might withdraw $40,000 and at the same time rebalance this hypothetical portfolio back to your target asset allocation. Keep in mind that selling investments can have tax implications and you may want to consult with a tax advisor before you proceed. Rebalancing and asset allocation cannot ensure a profit, protect against losses, or guarantee that an investor’s goal will be met. 1. Source: “Generating Cash Flow From Your Retirement Portfolio,” by Rande Spiegelman, updated December 18, 2009. Now that you have a better understanding of how to set up your retirement income stream, use this checklist to help you take your next steps. We’re here to help. Use our Monthly Budget Planner to create a detailed estimate. Get an estimate of your Social Security benefits. The result is an estimate of the income you need from your portfolio. If you’re a Schwab client, you can schedule a personal retirement consultation to discuss your situation. Call 877-673-7970. Use a checking or savings account. Arrange to have Social Security checks and other income automatically deposited into a bank account. Open an FDIC-insured Schwab Bank High Yield Investor Checking® or Schwab Bank High Yield Investor Savings® account. With unlimited ATM fee rebates, these accounts can help you save. Call 888-403-9000 for more details. Choose investments for your portfolio that are suitable for your income needs and your risk profile. Within your retirement portfolio, create a short-term reserve. Pay expenses from your paycheck account. Withdraw interest and dividends from your main portfolio. Ask us to turn off automatic reinvestment of your interest and dividends. Call 800-435-4000. Withdraw principal from your short-term reserve. Replenish your reserve first with principal from maturing bonds. Then, replenish your reserve with proceeds from rebalancing. Consolidate your retirement savings at Schwab to make managing retirement income easier. Call an Account Transfer Specialist at 866-232-9890. Ask a Rollover Consultant to help you move a 401(k) to Schwab. Call 866-855-9095. NOTE: Before initiating a rollover, carefully consider all of your available options, which may include, but not be limited to, keeping your assets in your former employer’s plan, rolling over assets to a new employer’s plan, or taking a cash distribution (taxes and possible withdrawal penalties may apply). Prior to a decision, be sure to understand the benefits and limitations of your available options and consider factors such as differences in investment-related expenses, plan or account fees, available investment options, distribution options, legal and creditor protections, the availability of loan provisions, tax treatment, and other concerns specific to your individual circumstances. Close You are now leaving Schwab.com. You are leaving Schwab.com and accessing a third-party website that is not affiliated with Charles Schwab & Co., Inc. ("Schwab"). Schwab does not endorse this site, its sponsors, or any of the products or services offered on the site. While one school of thought states that you’ll need 75%–80% of your current income when you retire, it may be safer to assume that you’ll need roughly the same annual income you have now minus what you’ve been saving. Why? While certain costs, such as mortgage payments or work-related expenses, may go down, others, such as travel, entertainment, and health care, may go up. And often there are unanticipated expenses for emergencies, which you can fund with a short-term reserve or build into your budget. Knowing what’s essential and what’s discretionary can help you with your income planning. To cover essential expenses, consider investments that produce predictable income, such as annuities with lifetime income guarantees. * Discretionary expenses could be covered by income that is more variable—income from investments that provide some income now plus growth potential for the future. *Guarantees are subject to the claims-paying ability of the insurance company that issues the annuity. Next, consider selling from tax-preferred accounts, beginning with the low-rated investments. Within each category, you may want to sell individual stocks and bonds first, then mutual funds. If security ratings are the same, consider selling lower-yielding securities first. Keep in mind that selling investments can have tax implications and you may want to consult with a tax advisor before you proceed. Source: “Generating Cash Flow From Your Retirement Portfolio,” by Rande Spiegelman, updated December 18, 2009. Are yields enough to live on? See how to evaluate your situation. 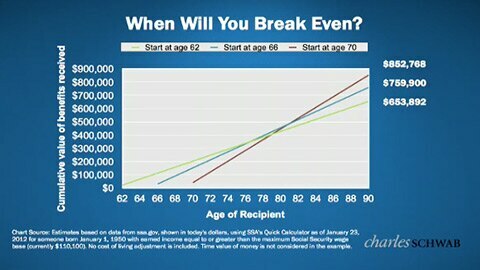 When should you take Social Security? How to decide when to start. 2. Unlimited ATM fee rebates apply to cash withdrawals using the Schwab Bank Visa Platinum check card wherever it is accepted. ATM fee rebates do not apply to any fees other than fees assessed for using an ATM to withdraw cash from your Schwab Bank account. Schwab Bank makes its best effort to identify those ATM fees eligible for rebate, based on information it receives from Visa and ATM operators. In the event that you have not received a rebate for a fee that you believe is eligible, please call a Schwab Bank Client Service Specialist for assistance at 888-403-9000. Schwab Bank reserves the right to modify or discontinue the ATM fee rebate at any time. Important information about investment income. Fixed income securities are subject to increased loss of principal during periods of rising interest rates. Fixed income investments are subject to various other risks, including changes in credit quality, market valuations, liquidity, prepayments, early redemption, corporate events, tax ramifications, and other factors. All of these factors can subject the funds to increased loss of principal. Please refer to the ThomasPartners® Form ADV, Part 2A, for more information. Portfolio management is provided by ThomasPartners, Inc. ("ThomasPartners"), a registered investment advisor and an affiliate of Charles Schwab & Co., Inc. ("Schwab"). The ThomasPartners Dividend Growth Strategies are available through managed account programs sponsored by Schwab. Program fees may vary. There are two versions of the ThomasPartners Dividend Growth investment philosophy: ThomasPartners Dividend Growth Strategy (K-1 Generating) has direct exposure to master limited partnerships (MLPs) and generates IRS Schedule K-1 tax forms. The other version, ThomasPartners Dividend Growth Strategy (Non-K-1 Generating), uses exchange-traded funds (ETFs) to provide exposure to MLPs and therefore does not generate IRS Schedule K-1 tax forms. Please read Schwab's applicable disclosure brochure for important information and disclosures. Schwab makes available other equity strategies in its managed account programs that focus on dividend-paying stocks, including strategies that are managed by firms that are unaffiliated with Schwab. 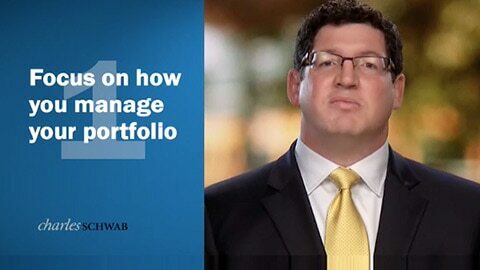 Because Schwab and ThomasPartners are affiliates, Schwab and its affiliates generate more combined revenue if you choose ThomasPartners than if you choose an unaffiliated manager with a similar strategy.